- BioLingus is proud winner of the 2019 Global Venture Award. 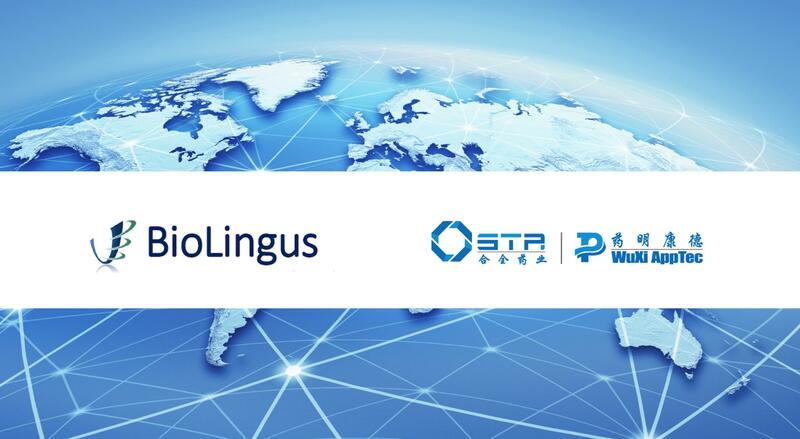 STA Pharmaceutical Co., Ltd(WuXi STA), a subsidiary of WuXi AppTec and BioLingus, a Swiss biotech company, announce they have formed an exclusive technology and marketing collaboration for sublingual delivery. - BioLingus to attend the Swiss-Nordic BioConference. Swiss Nordic Bio is the number one platform that gathers life science professionals from Switzerland and the Nordic countries. -BioLingus will participate in Bio-Europe on 5-7th November 2018 at Copenhagen, Denmark. -We are humbled and at the same time very proud with this European award as a tribute to the day to day efforts, creativity and perserverance of our BioLingus Team ! -BioLingus will speak at this Global Horasis meeting, in the section on “Spearheading economic growth”. 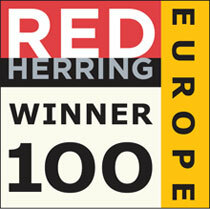 -BioLingus to present at the Red Herring Top 100 conference in Amsterdam, April 17-18th - BioLingus is nominated for the Red Herring Top 100 2018 ! -BioLingus to present at the 11th Annual European Life Sciences CEO Forum and Exhibition, 26th-27th February 2018, Hilton Zurich Airport Hotel, Switzerland. - New analyst report from Alpha Deal Group available on BioLingus titled: “Strong potential : transforming the way medicines work”. -BioLingus signs collaboration agreement with the Tücher group. Aim is to commercialize the BioLingus series of food supplements via a new Joint Venture in China. Our food supplements are based on the same innovative and proprietary technology as our pharmaceuticals, but compared to our bio-pharmaceutical products, food supplements may generate revenues in a shorter time. Being innovative Swiss products, our food supplements will be positioned in the premium & high price market segment in China. Signing ceremony took place in the wonderfull Chamber of Commerce, near the Arc de Triomphe in Paris. The joint venture should be based in the new building of the "The China EU Future City Project (CEFC)" in Shenzen (picture below). Tücher is a large German industrial group, with multiple arms, and very strong in China. Their investment group (TEP) is specializing in helping European companies commercializing their products in China, with all financial, logistical and organisational support to become successfull. - BioLingus will be presenting at the EuroTides conference in Vienna on 8 NOV 2017. -This year's companies include Abbvie, TEVA, Vertex, SAS Institute, LinkedIn, Coca Cola, Deloitte, PWC and others, so a mix of large and smaller companies, with a shared characteristic as the authors describe it : "CEO Insight’s Top 20 Most Influential Companies list acknowledges enterprises that have a vision that shapes the conceptual landscape of inward investment, finance, business, technology, design, architecture and law." - See also the related interview with BioLingus "High Tech Therapies"
-Review article on the future of psoriasis treatments, mentioning not only BioLingus, but also Janssen (JNJ), Astrazeneca, Leo Pharma, Amgen, Boehringer Ingelheim and Abvie. - Yves Decadt, CEO of BioLingus, will be speaking at the 17th Annual Biotech in Europe Forum (aka the Sachs conference), and will be member of the diabetes and obesity panel. 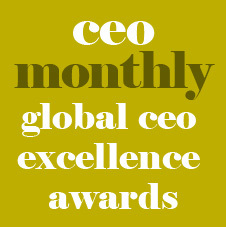 - We are pleased to announce that the CEO Monthly Magazine has presented two prestigious awards to BioLingus : Best European CEO Biotech – Europe, Most Innovative Biotech company – Europe . - BioLingus will be presenting at the 2017 Horasis Meeting on June 25-26 in Interlaken, Switzerland. -For the second time, BioLingus has been awarded the “GAMECHANGER AWARD” in the category Biotech from the ACQ 2017 Global Awards Program. - BioLingus will be presenting at the 2017 Sino-Europe BioPartnering (SEBP) conference in Shanghai, China on 15-16 May 2017. - BioLingus will present its technology at the TIDES conference in April 2017 in San Diego. - BioLingus is proud to be the winner of the “Gamechanger Award” and “European Biotech Award” 2016 from the ACQ annual awards program”. 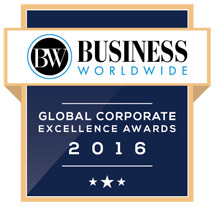 - BioLingus CEO Scoops Two Wins in Business Worldwide Magazine Awards. - BioLingus wins Best Delivery System Award from the Global Health & Packaging magazine. - BioLingus Article in Business Worldwide Magazine "The non-invasive delivery of biological drugs: a holy grail in the pharmaceutical industry?" 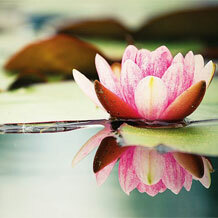 - BioLingus will participate in the “J.P. Morgan 35th Annual Healthcare Conference” in January 2017 in San Francisco. - BioLingus will participate in the Bio-Europe conference in Germany. - BioLingus GmbH, based in Hergiswil, Switzerland has signed a non-exclusive co-marketing agreement with WuXi Apptec today. Following this agreement, a percentage of the revenues from each party will be shared. Furthermore, the agreement will allow BioLingus to negotiate additional independent deals. BioLingus is spearheading the development of oral (sublingual) and mucosal delivery of peptides and proteins for chronic diseases and immune-therapies. It is a cutting-edge and mature solution for oral formulations, not only for peptides, but also small molecules, novel protein scaffolds, nucleotides, domain antibodies, vaccines, immunotherapies etc. 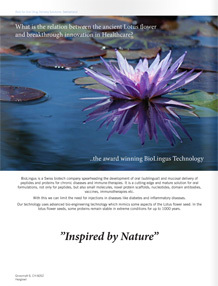 Biolingus’ technology is patent protected for the next 20 years. Patents have been granted in USA, Australia, China, Japan, Russia, Indonesia with Europe, Canada, Mexico, Brazil, Malaysia and Thailand to follow. WuXi Apptec Inc. is a publicly listed company in the US Stock Exchange. WuXi Apptec services over 300 of the top global pharmaceutical and biotechnology companies. Established in December 2000, WuXi AppTec is a leading global pharmaceutical, biopharmaceutical, and medical device open-access capability and technology platform with global operations. As an innovation-driven and customer-focused company, WuXi AppTec provides a broad and integrated portfolio of services throughout the drug R&D process. WuXi AppTec has developed from four founders and a single laboratory in December 2000 to 12,000 employees and 6 million square feet of laboratory and manufacturing space, including facilities under construction. - Yves Decadt, Biolingus CEO explains the innovative technology that takes injectable medicines and transforms them into pills. - Inspiration from nature is transforming how medicines work - EUROPENCEO Interview with Yves Decadt, CEO, BioLingus. - Yves Decadt, CEO of BioLingus, will participate in 2016 BIO International Convention on June 6-9 at Moscone Center, San Francisco, California. - BioLingus has been selected as the winner of the 2016 award in the section "MOST INNOVATIVE BIOTECH COMPANY” from the European CEO magazine. Awards will be presented during the 2017 WEF in Davos. - Yves Decadt, CEO of BioLingus, will participate in 10th Swiss-Scandinavian Bio-Business Seminar 2016 on February 10 at the SIX Swiss Exchange in Zurich. - Yves Decadt, CEO of BioLingus, will participate in Drug Development Partnerships, Palm Beach Gardens, FL, United States, on 20-22 Jan 2016. - Yves Decadt, CEO of BioLingus, will present at Bio-Europe 2015, Munich Germany, on 2-4 Nov 2015. - Yves Decadt, CEO of BioLingus, will present at Peptide Therapeutic Forum, MipTec Congress 2015, Basel (CH) on 22-23 Sept 2015. - BioLingus will participate in the Alpine High-Tech Venture Forum in Lausanne, 24-25 June 2015. - BioLingus will participate in the Bio International Convention, June 15-18, Philadelphia, USA. - Yves Decadt, CEO of BioLingus, will present at the at the Sino-European Bio-Partnering (SEBP) in Shanghai China on 14th May 2015. - Yves Decadt, CEO of BioLingus, will present at the INARTIS Drug Delivery Event in Zürich, 23rd March 2015. - Yves Decadt, CEO of BioLingus, will present at Venture Summit West 2015, Palo Alto, USA. 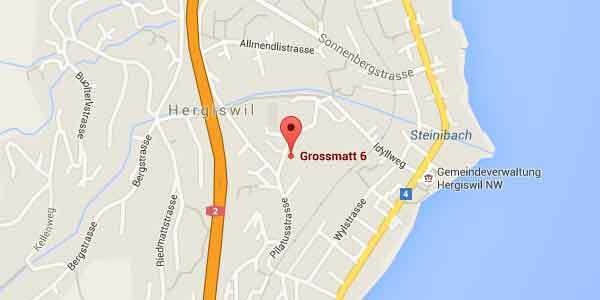 - BioLingus will participate in 9th Swiss-Scandinavian Bio-Business Seminar, 5th February 2015. - BioLingus will participate in Swiss HLG Winter Conference, Flims February 2015. - BioLingus will participate in Bio-Europe Partnering conference in Frankfurt, Germany. - Message from the CEO : "I am happy to communicate that this month, our drug delivery patent WO2012/109694 A1 has been granted in USA in addition to Australia. This is an important step in the strengthening of our patent portfolio for the most important pharmaceutical territory, which is still USA. We are confident that other important territories will follow. This also demonstrate our company with our breakthrough technology is able to deliver real novelty, to change the way how peptides and proteins are administered in the future. With this, I want to especially thank Mr. Thomas Ko, who is the key inventor of this patent and also CTO of BioLingus." - Yves Decadt, CEO of BioLingus, will participate in the 11th Swiss CEO day in Bern, Switzerland. - Yves Decadt, CEO of BioLingus, will present at the 14th Annual Biotech in Europe Forum, 30th September - 1st October 2014, Basel Congress Centre, Switzerland. - BioLingus will participate in the Bio Conference in San Diego, 23-36 June 2014. - Yves Decadt, CEO of BioLingus and Tom Ko, CTO of BiolLingus are invited as speaker on Bit congress forum 1013&1015 from June 26-29 2014. - Yves Decadt, CEO of BioLingus, will present at the 7th Annual European Life Science CEO Forum taking place on 4th-5th March 2014 at Hilton Zurich Airport Hotel. - We participate in the Swiss Healthcare Licensing Conference in Flims (Switzerland), from February 2-4. - Yves Decadt, CEO of BioLingus, will present in January 2014 on the Drug Delivery Partnership conference in Miami. Yves Decadt, Biolingus CEO explains the innovative technology that takes injectable medicines and transforms them into pills. BioLingus wins Best Delivery System Award from the Global Health & Packaging magazine. .
BioLingus CEO Scoops Two Wins in Business Worldwide Magazine Awards. 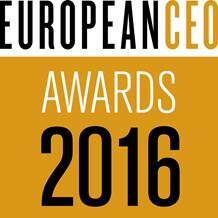 BioLingus has been selected as the winner of the 2016 award in the section "MOST INNOVATIVE BIOTECH COMPANY” from the European CEO magazine. Awards will be presented during the 2017 WEF in Davos. Inspiration from nature is transforming how medicines work - EUROPENCEO Interview with Yves Decadt, CEO, BioLingus.